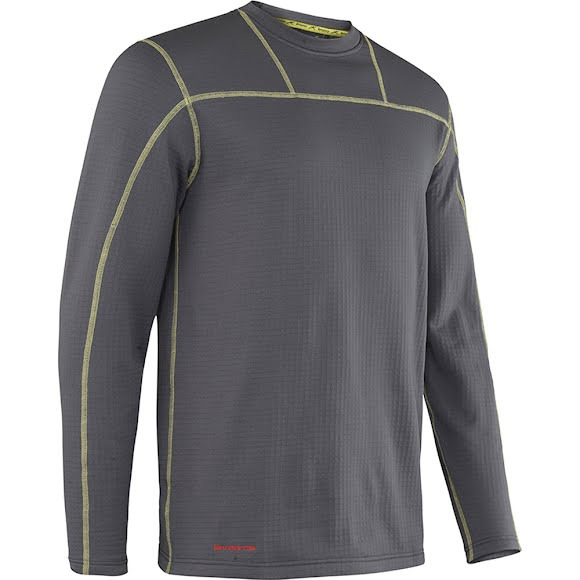 The durable, ultra warm Terramar Climasense 3.0 Ecolator Crew features wicking, fast-drying, breathable and soft material. The Dual Surface Knitting System incorporates high loft grid channels for enhanced breatability and effective layering for cold weather. Ultraviolet Protection Factor (UPF) is a measure of the percentage of ultraviolet sunlight that reaches your skin through a given fabric, estimating the additional amount of time you can spend in the sun with a certain garment on. (UPF 25 meaning you can withstand 25 times the amount of sun you could without protection).